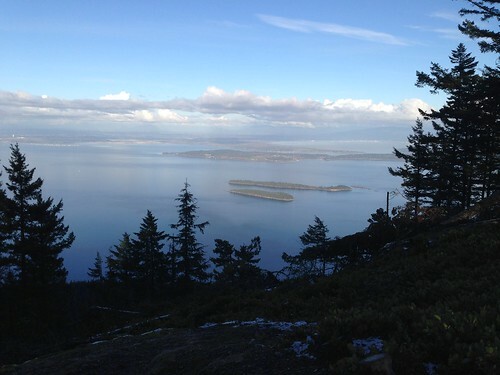 It’s not easy to re-organize the amazing experience at Orcas Island 100. First of all, I was there not as a runner this time. 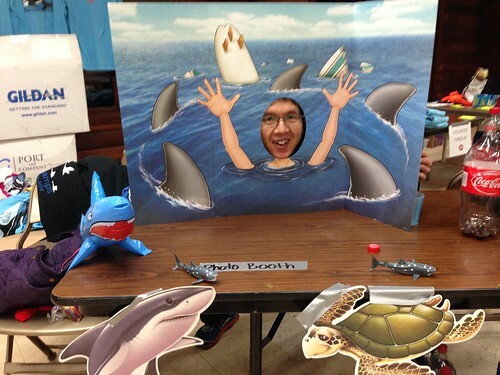 I was there to root for runners, to volunteer at Mt. 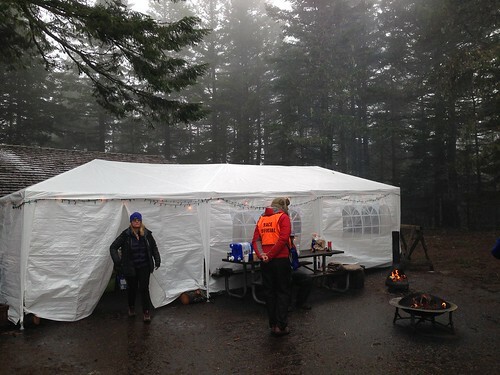 Constitution aid station, and to support Katsu from Japan when I was not volunteering. I’ve never been very emotional about my race. I always try to simplify the things when I run my race – plan ahead, prepare well before a race then stay focused and keep my calm while running to reach my goal. A race is kind of mission imposed to myself, and whether it’s completed successfully or not is the matter. 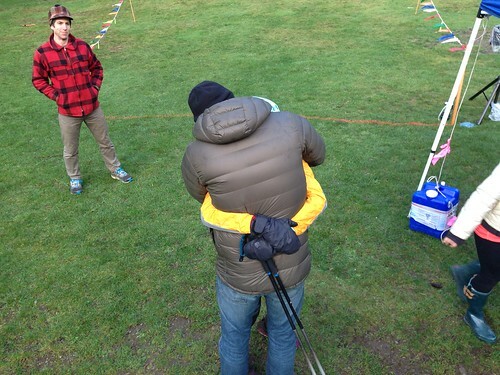 It’s different at Orcas 100. 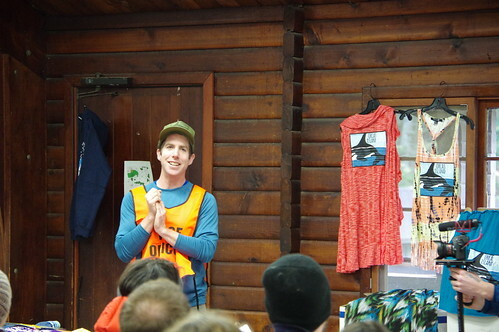 I was sharing many runners’ experiences. 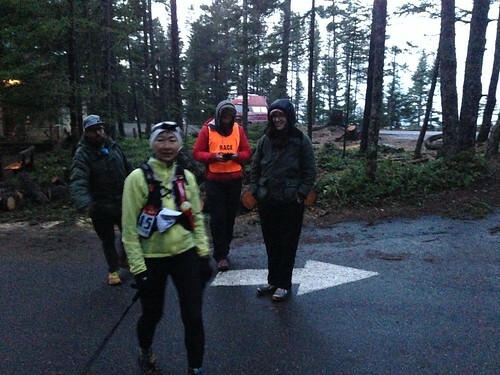 I was with runners preparing and concentrated at start line, saving energy or pushing hard. 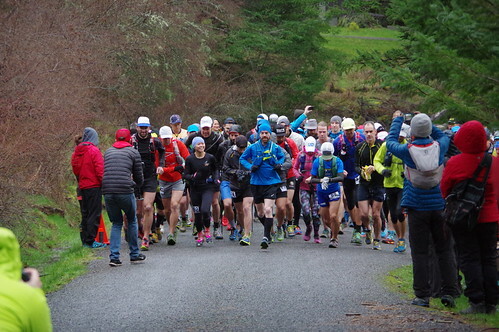 I was with runners complaining about pain, shivering with cold, making hard decision to drop or finished and relieved from the torturous race. The race started on Friday morning. I darted here and there around the trail to cheer for runners until my volunteer shift. 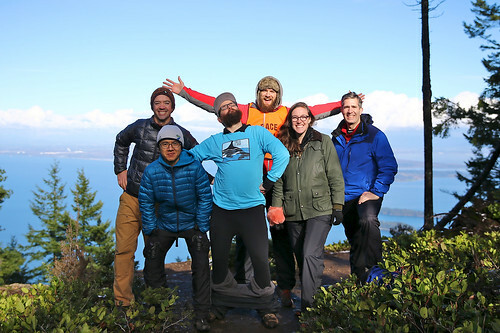 Volunteering at Mt. Constitution at the night was fun. Our aid station was led by Ian and organized by Team 7 hills. Runners might have noticed Ford singing out loud “We love runner”. Chris saved us by always tending fire pits. 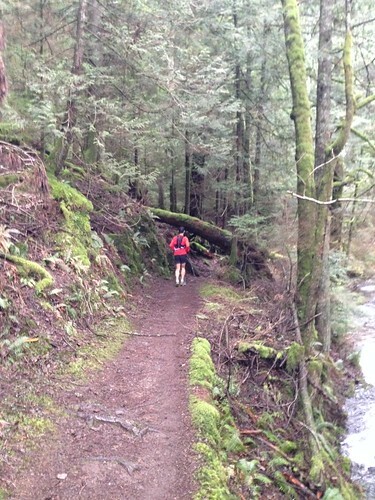 Loop course was great as we could meet a runner several times. 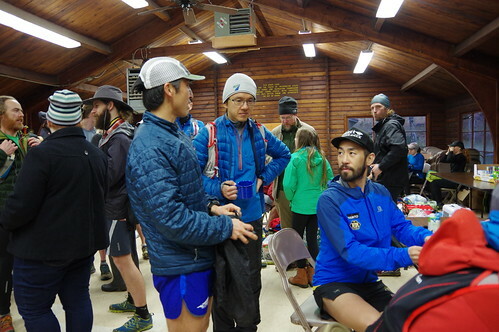 After the first shift at the aid station, I went back to Camp Moran to see Michel, Evan and Tomo finishing before dawn, Jordan in the morning and other runners finishing or leaving for final loop. I had another volunteer shift at Mt. Constitution on Sunday from noon until seeing out end-of-the-pack runners going down to the finish. Kyota, Tracy and Vivian were all strong. On Sunday at the award ceremony, everybody were smiling. 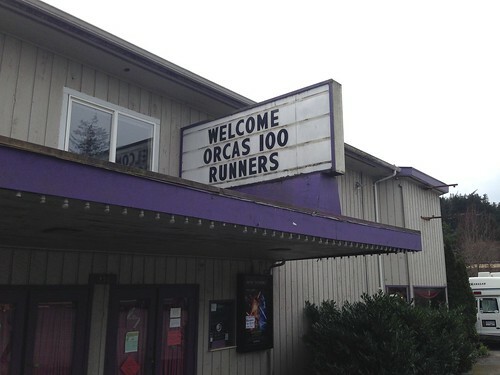 We all knew how successful the inaugural Orcas 100 was. How great for me to be a part of the event and this community. It’s an unforgettable experience I’ve ever had.